Meet Dr. Annie Bukacek of Montana. 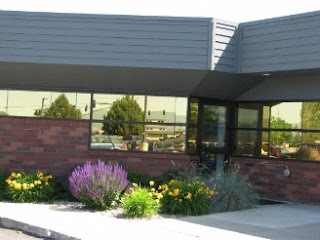 Dr. Annie is the founder of Hosanna Health Care in the Two Medicine building in Kalispell, located in the beautiful Flathead Valley of Montana. Dr. Annie is known and loved by many, having practiced medicine in this valley for many years now. She is also appreciated by many others across this state for her ceaseless pro-life work. I have spoken to several of her clients, and all of them say how much they love and appreciate her. 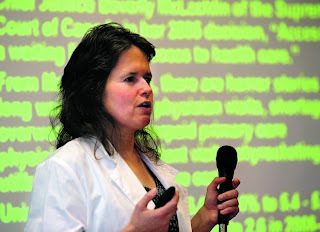 Dr. Annie is known to spend countless hours calling people across this state, asking them to support THE PERSONHOOD AMENDMENT and to sign the petition she is now circulating, along with others, to promote THE PERSONHOOD AMENDMENT to the Montana Constitution . Recently, I gave my full support to Dr. Annie by going to several county fairs and one state fair, plus several gun shows, to gather signatures at pro-life booths for their petition for THE PERSONHOOD AMENDMENT for this state. I considered it a great honor to support her wonderful work on behalf of the unborn child. Dr. Annie is also known for her resilient resistance to THE OBAMACARE PROGRAM. 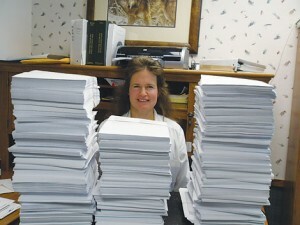 Dr. Annie Bukacek of Hosanna Health Care in Kalispell was surprised when a 30- to 40-foot-long command-post vehicle pulled up unannounced last week, along with a posse of state and federal health-care fraud investigators. That marked the latest in a string of inquiries that started last April. Apparently someone alleged abuse of patients or fraud with regard to Medicaid billing involving Bukacek's medical practice. Questions about praying with patients also have been raised. Bukacek said she spent an hour and a half Wednesday with an FBI agent, a criminal investigator and two health-care fraud investigators, trying to get some answers about why her small practice was under scrutiny. "They said they have to follow up every allegation made," Bukacek said. "I believe these individuals are people doing their job. I find no fault in them. But think about the federal capacity for harassment. Will I continue to get an average of one government investigation a month?" Both I and many of Dr. Annie's personal friends and supporters fully believe that this ongoing investigation is clearly government harassment designed to cut short her work with pro-life in Montana and to counter her opposition to the Obama Health Care program. While she realizes that she is innocent of the allegations they are charging her with, she also understands the power of the Federal government to hinder and hurt those they feel challenged by. Yet none of this deters Dr. Annie in her excellent ongoing health care provision to many throughout this region. Nor is she deterred by this Federal bullying she is experiencing presently. Dr. Annie often spends hours every day making phone calls to people across the state of Montana, explaining what THE PERSONHOOD AMENDMENT is all about, and encouraging people to support it by signing this petition when it comes to their church or region. All of these factors above makes Dr. Annie one of America's genuine WOMEN HEROES OF THE FAITH in our nation today. Please support Dr. Annie in your prayers at this challenging time in her life. Pray for strength and grace to continue as leader of MONTANA PRO-LIFE COALITION. Pray for her victory over false allegations made by the Federal government regarding her medical practice. And PLEASE support THE PERSONHOOD AMENDMENT in your state. Or, provide your support right here in MONTANA if you live here. Although I am proud to assist Dr. Annie in her pro-life work, she is in no wise connected with my investigative journalism, preferring to keep her work and mine on separate terms, although she understands and appreciates the importance of my message in this hour. This way, if anyone is offended by the nature of MY message through my journalism, it will not have any impact on her work with Montana Pro-Life Coalition. You can contact Dr. Annie and MONTANA PRO-LIFE COALITION by going to their informative website and clicking on CONTACT. © Copyright 2019 hhckalispell.com, all rights reserved.